Nursing homes are often understaffed and the staff they do have is often poorly trained. Sometimes, staff with abusive or even criminal backgrounds are hired. Any of these conditions can lead result in the neglect and abuse of patients. If you are reading this site, it likely means that at some time you had to make the difficult decision of placing a loved one in a nursing home. The only way you could have made that decision was by trusting that the staff of the nursing home would care for and protect your loved one. Unfortunately, however, you now find yourself suspecting that that trust has been violated and that your loved one has been the victim of neglect or abuse at the hands of those in whom you entrusted their care and protection. Also known as bedsores and pressure sores can usually be prevented by frequently turning the patient and using a higher quality mattresses with overlays. If these simply steps are not taking, Decubitus ulcers will typically develop at the the heels, the backs of knees, the buttocks, and other bony parts of the body. Decubitus ulcers begin as a red sore on the skin. If left untreated, the sore breaks the skin. Over time, if proper steps are not taken, the wound increases in size and in depth. Eventually, the wound becomes so deep that it may reach down to the bone and become infected. When this happens and antibiotics do not work, amputation may be the only means of saving the patient's life at this point. If sepsis (blood poisoning) develops and reaches an advanced stage, however, even amputation may not help and the patient dies. Falls are another common problem encountered by the elderly in nursing homes. In some cases, patients may not properly secured into wheel chairs and fall or slip out. Patients are also left in their beds without rails to protect them. When left unattended by the staff, these patients fall, often receiving lacerations, abrasions, bone fractures, disfigurement, and even head injuries. 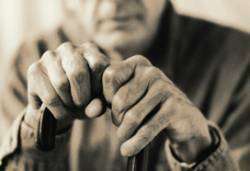 Physical abuse is a reality for some patients in nursing homes. Patients are sometimes slapped, punched, or kicked. Some patients are even forced to endure sexual assault by staff or other patients. Whether your loved one has suffered from one of these common types of injuries or has suffered from any of the many other injuries that can result from neglect and abuse, you may feel betrayed and angry. If your loved one is still at the nursing home, you may also have grave concerns about future treatment at the nursing home. These are real feelings and legitimate concerns. If you see signs of abuse or neglect with the care of your loved one, contact Mr. Hernandez immediately. We want to protect those who are not able to protect themselves.